a great way to clean up the rear end of the bike. i only wish it was gloss black not matte. i gloss coated mine. Solid steel fixture with quality black prime finish ready to be painted to your color choice and comes with quality replacement mounting bolts. Fits perfectly, BUT be known that they do not work if you have the lower bag guards. Simple way to fill the gap. These filler panels was the thing i was looking for to fill in the gap between the bags and fender. The quality was great and strong by using 16 GA steel. I opted to use hex head bolts instead of the hardware that was included due to the bolts also held my trailer hitch. They are painted flat black just like the pictures show. Good value, very well made,good fit, just wish they had a gloss finish. Excellent customer service, fast shipping. Part worked just fine. Fit was perfect. Came with 2 sets of bolts for different hole sizes. Couldn't be happier. Shipping was fast and package was great. Be aware these are a black primer to paint what color you need. I needed a gloss black so the black primer was perfect for me. The panels make a heck of an improvement at the rear view. No more unsightly saddle bag mounting bolts. Installation was simple. However the socket cap bolts did not fit. Six hex bolts washers and lock washers later....everything was good. I will send Pic's later. The fit we no modification 20 min install. My only gripe is the finish. The color (black) matches my bike but its a flat black not glossy like the paint on my bike. Not very noticeable, but I see it. fillers work on. If you have hardware for tour pak or back rest there is no mod's needed. Hope this helps. 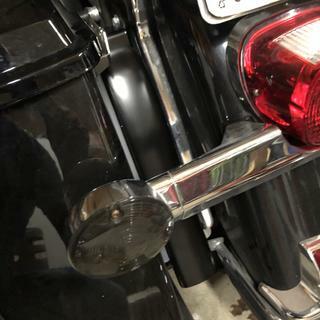 I have them on my 02 Road King but there are several bolt holes drilled to fit many years. 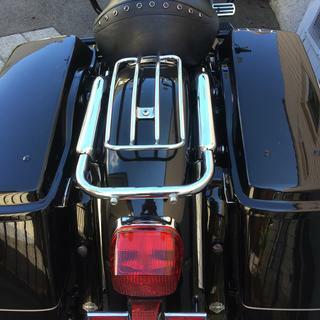 i installed these filler panels on my 2005 Harley Davidson road king . They look great! I believe 93-08 baggers. in 09 the fender became wider. I put them on a 99 flht. I have a 1999 Road King and have them on that. They look great! 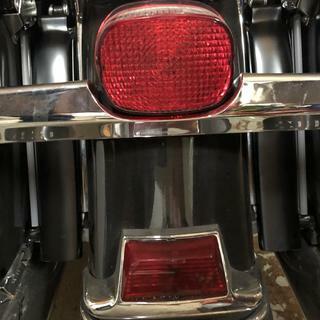 I purchased these for my 2001 road King and they fit perfect. Is price each or pair? BEST ANSWER: A pair and they are wrapped nicely so they don't get scratched. BEST ANSWER: They come in black. For me it served as a great primer/base coat. I lightly sanded them and laid down the proper paint for my bike. They will not be harley colored out of the box. You'll more than likely need to paint them as I did. They are satin black. I had mine powder coated gloss black to match my bike. nicely made and well worth the price. They are a satin/ flat black, ready for paint. Gloss Black and fitment is spot on. Will these work on my 99 RK? And can these be used for 5 in extended hard bag? On my 05' road king I have 2011 hard bags and everything seems universal. As far as extended hard bags, these fillers are only as long as regular sized hard bags. They fit perfectly on my 01 Ultra, so I believe they will. Same hard bags and Frame. They will not extend all the way down to the 5" extended bag, but will fill the hole nicely. They look great and bolt right up. Good luck! 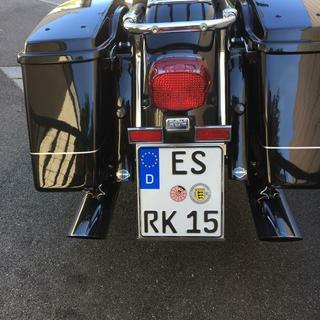 I put these on an 01 Electra glide. If the RH has the same bags, I'm sure they will work,but they don't go down to the bottom of the regular sized bags, so it might not look quite right on extended bags. 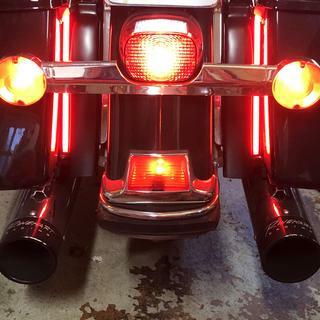 I Have these on my 03 Electra glide with 4" drop bags. Fit very well and very nice complete look to bike. Sorry on this question but I am not sure I know my buddy put a set on his 2000 RK. Will this work for harley softail fat boy with 4" extention bags ? BEST ANSWER: I don't think so. I had to modify the tops of mine to fit a 2002 Electra Glide standard w/standard bags just to make them fit. I would take some measurements prior to ordering. They fit my 07 Electra Glide nicely with standard bags. I am sorry cannot answer this question I could tell you if seen the bike maybe. I have an '01 Road King with a removable back rest/support and hard bags and the fillers fit and easy to put on. How wide is each filler ? BEST ANSWER: filler is 2 inches wide. mine are on a 99 flht with quick release backrest. bolts to existing fender bracket bolts. 2-1/8" from where the roll begins on each side. Hope this helps? Are the fillers vivid black? I would not say vivid but they do have a decent shine to them. Good product. Alright the other question is for my 99 RK..I have a quick detach backrest for the wife..will it be compatable with the quick release?? BEST ANSWER: They will if you modify them. I had to cut down the length and cut off the tab @ top. will these fit a 2008 fatboy using the electra glide hard bags and conversion kit? Do you have the crime plated ones? Can it be made to fit my bike 2002 Fatboy ?